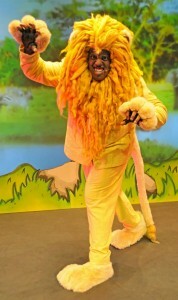 From the Creator of Tweenies, How Lion became King of Tinga Tinga land is a fun packed adventure for all children aged between 3 and 11 years of age. On her journey Banjoko meets the Cheeky Monkey ‘Maliki’, a Kind but Goofy Giraffe named ‘Gowon’, a Groovy Zebra called ‘Zalika’ and a very Proud Lion called ‘Lutalo’. 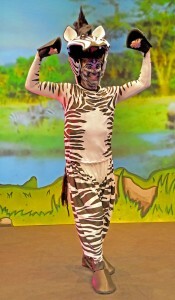 Each animal in the show brings a unique character to the stage and a special story and song which the audience is invited to sing. The journey starts and finishes in a lively manner keeping everyone’s toes a-tapping. 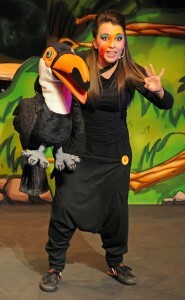 Five performers and two drummers lead kids and their families through a high-octane story full of music, puppetry, dancing, and lots of song and dance to join in with. Kids will be encouraged to turn up in costume as their favourite animal, and masks etc will be available for sale on the day.